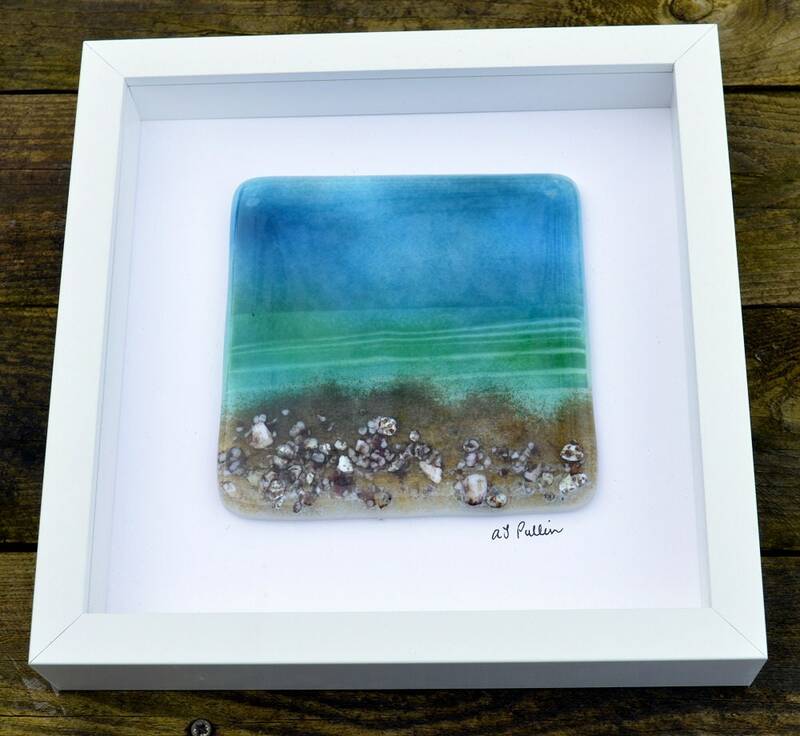 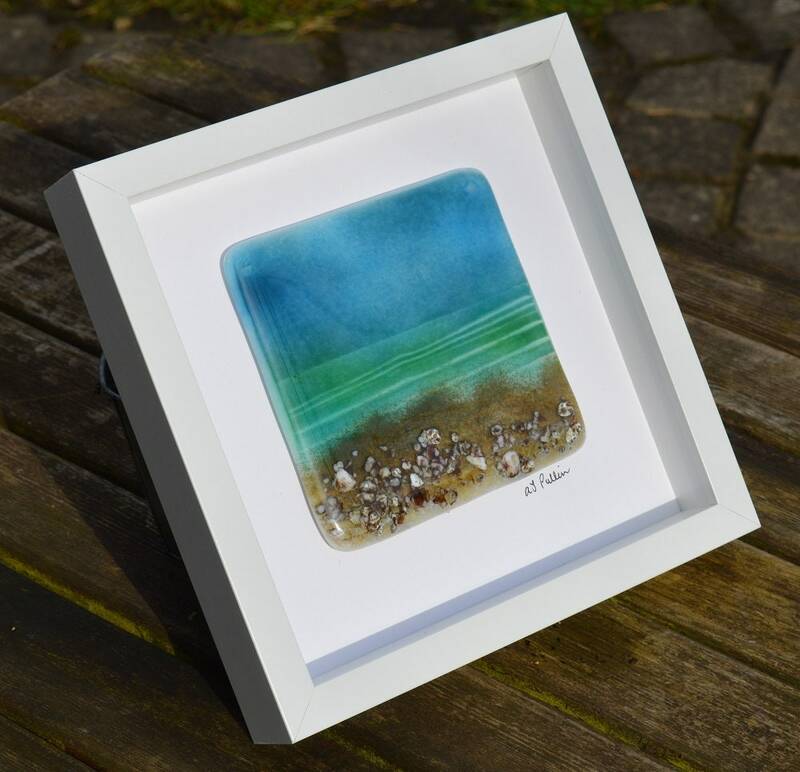 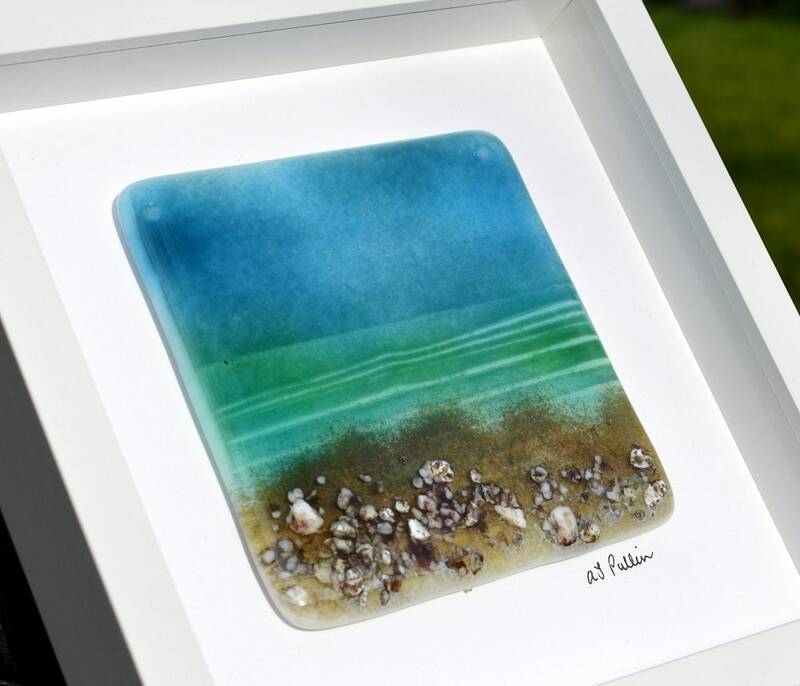 Fused glass beach scene mounted in an open white box frame measuring 25.5 cm square. 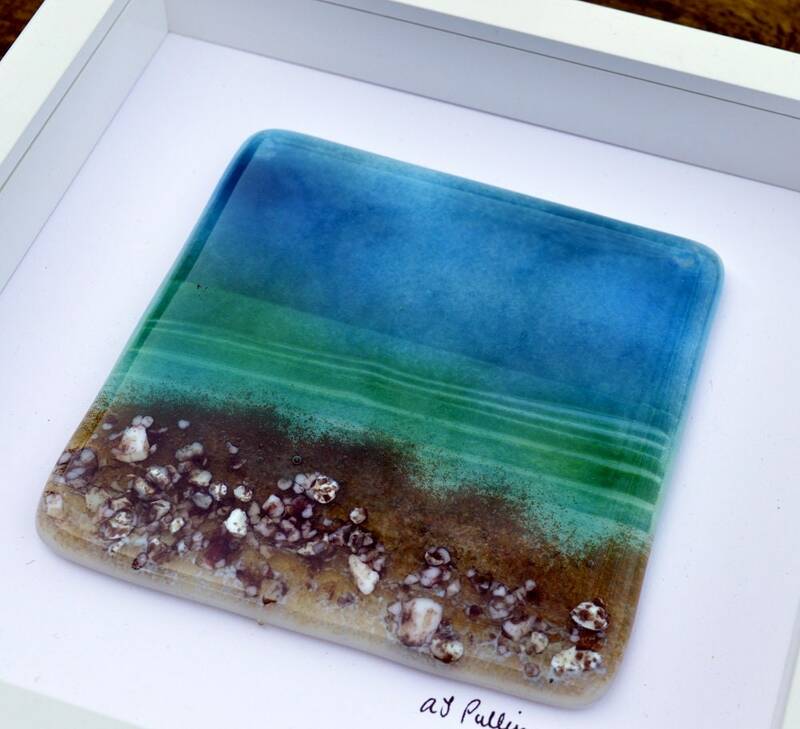 An ocean scene has been created with deep blue sky and sea green ocean with a foreground of rocks and sand. 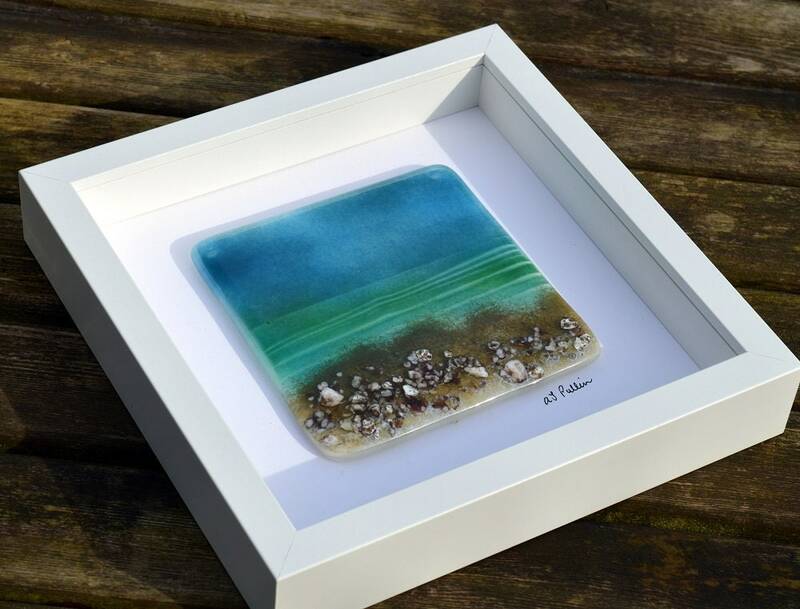 The picture itself measures approx 14cm square. 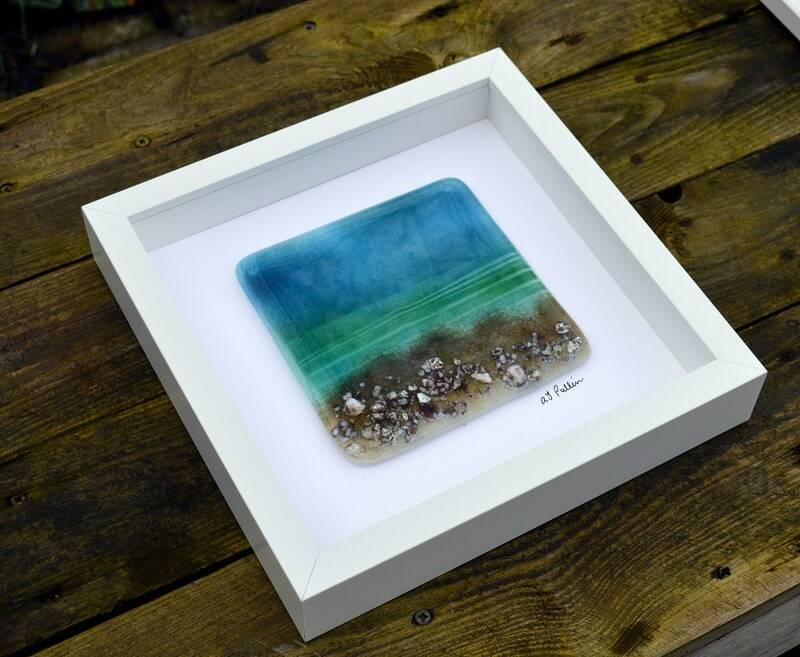 I use recycled packaging where possible.